We’re using the ‘contact info widget’ on several pages. It now makes e-mail addresses and phone numbers clickable by itself, however, they aren’t working properly. Sorry… same issue but I’m a little confused. Do I need to copy the folder to somewhere or just change the mk_contact_info.php file? You need copy the folder “mk_contact_info” to the child theme. 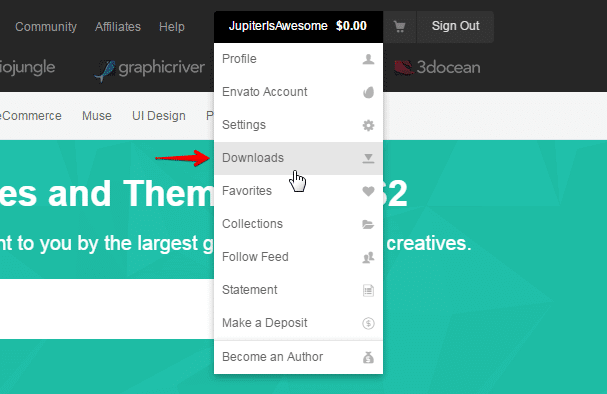 The article covers installing Jupiter WordPress theme. Access to WordPress administration and FTP clients are required for Installing theme and child theme. Then copy the folder jupiter/components/shortcodes/mk_contact_info to the child theme with the same directory structure jupiter-child/components/shortcodes/mk_contact_info and edit the file mk_contact_info.php in this directory jupiter-child/components/shortcodes/mk_contact_info (it is required to make changes in the child theme so you don’t lose them after theme update). Good evening, I also have the same problem, for the mail I solved but for the phone number how can I delete “http” before the numbers? Last question, which theme should remain active? jupiter or jupiter child theme? If the changes are made in the child theme, then you should activate child theme. Hi! wondering if it possible to change it at the original theme… without making a child theme. This is a bug as the function esc_url should not be used on email addresses. It will always add “http://”. This said the bug should be fixed in the theme itself. Did you install the child theme and make the changes in the file as described in the post above? Could you please create a ticket https://themes.artbees.net/new-ticket and provide FTP/WP Dashboard credentials to check the issue? Is this bug going to be fixed any time soon? Yes, it has been reported to the developers and they will fix it in the future update. Please take our apologies for inconveniences. Folks, this bug has been around a long time. My client just found it and it’s embarrassing and erodes trust — their trust in me, and my trust here. I only found this thread by searching for the problem after my client complained. Do you have an ETA on a proper fix? How can you do something so Artbees is shipping a theme without this problem? Or how can you warn your customers about it in advance? Wanted to add that as of January 2019 the phone number in the contact widget doesn’t wrap the phone number in “<a href="tel:#####"></a>”. Jupiter has had it this way for as long as I’ve used it. I’ve gotten used to editing the same PHP file, it’s not bad - and never gets updated much so need to worry about upgrades. Update: I do see that they are wrapping the phone number in the PHP file, but for some reason it does not carry over to the DOM.